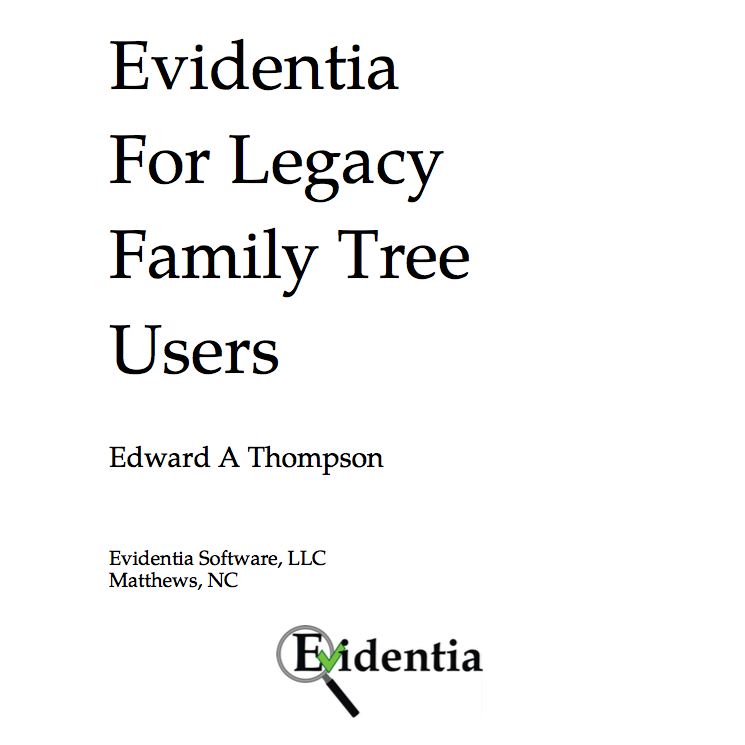 Drawn from the pages of “The Evidentia Companion”, this 40 page booklet provides users of Legacy Family Tree the guidance they need to integrate their Evidentia research into their favorite family tree software. This booklet is only available as a digital download in PDF form. Please note that this booklet duplicates some of the content in “The Evidentia Companion”. If you own the Companion, you do not need this booklet since the Companion covers the same information in much more detail. I am an Evidentia owner, and found the presentation today to be very helpful. Thanks.